Got a story to tell? Let us know, we love hearing back from our customers! I tried traps and smoke bombs, with in two hours out of the box I got the first mole with the molecat .great product! I purchased a MoleCat at a local ACE hardware store after trying several different methods in an attempt to rid my backyard of gophers. I say gophers, cause I never saw them above ground. I took what was several articles that described the mounds I was observing, and size, and frequency, and felt that I probably had gophers, not voles, not moles, nor anything else. But because I never saw them, I cannot be 100% certain, all I know is that they were destroying my backyard. I felt that the price was a bit high when the salesperson at ACE showed me the MoleCat, but then, after all I had been through, I thought, well I will give a try. I watched the video about 3 times, then set my first stalk. It didn't work, but this was because I had failed to open the knob far enough to the "second ring position", and nothing happened for 2 days, and the gophers were having a field day. I say gophers, because after my initial mistake, I realized what I had done, and corrected it, and this started and ended after about 5 days, and 4 dead gophers. I feel that the product is effective, and not difficult to use with the instructions and video. Thank you for helping me get my yard back. Bought two Molecats and two moles down. The photo shows the Molecat with a kill within 24 hours. I have to admit when I first saw the price I said Wow!. But then, when I read the methodology behind this device I said I have to try this. Nothing ever really helped my mole problem and believe I have tried everything. The molecat is constructed of good quality material and works great. 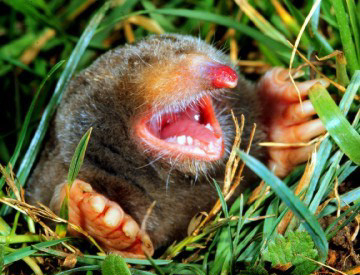 I have probably killed 24 moles over the past 6 months. Many times the device has fired within 10-15 minutes of placement. Read all instructions carefully and follow them closely to guarantee success. Thanks Molecat for a great Product! 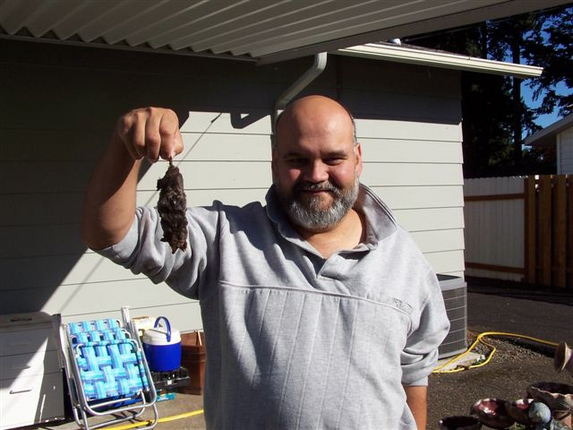 I live on the boarder of a green belt, and I battle with huge moles every year. Your product has been the "Go to" trap for these yard wreckers as nothing else even comes close to doing as well as the Molecat! Love it, and I sing it's praises to anyone that is willing to spend the extra bucks to get rid of these pests. So worth the time & money spent! I purchased the molecat Thursday afternoon, Sunday Night at 2:55AM BANG! 1st mole down! Thank you. Thanks Molecat for making a fine product that truly works for getting rid of these obnoxious pests. Your device is amazing. So far I am five for five on kills. It is easy to use and I am truly impressed. Bought the kit at the Clark Co. Yard & Garden show, had 2 mole mounds this morning so dug out the opening, poured water down to open up the run, set the unit up and into the hole, armed it, covered it and 5 min. later BOOM, removed the unit and filled the hole. Received my new Mole Cat. I love this device. After years of trapping - with modest success - the Mole Cat really works, AND it truly gratifying to use. For once, I'm in control! Actually, as of this morning, the count is 9! Way to go, Molecat. Thanks for making the product! I love my Molecat. Killing moles has gone from merely a pest control chore to an exciting sport. Another success story from my Dad. After getting two moles a week and a half ago he has seen no additional runs in his yard. Yesterday morning he noticed a run coming from his neighbors side. After just five minutes of setting the MOLECAT it went off. Another kill. After spending I don't know how many dollars,I bought a Molecat. I installed it and got a hit within an hour. We have voles,and our yard is like a sponge. I believe I have found a solution to riding my yard of moles. 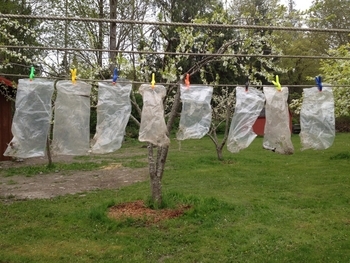 Over the years, I have used many products to eradicate the moles on my property with little success. During the past four years I have used the Victor metal traps, the Sweeny metal and dead set traps, castor oil granules, and castor oil RTU’s among other things. One mole in four years is not a good record. Sometime in early July of 2012 I was introduced to a device called the MOLECAT. My first impression was that I thought it was a little pricey, but after studying the workmanship put into the product I decided to give it a try. It has been dry in Missouri this summer of 2012 so there was not much activity in my neighbor’s yards as I water, and they did not. Whatever moles were around, I think they took up residency on my property. I was instructed on how to load, set and place the MOLECAT. I also went online to the company’s website and retrieved more information on how to use the product from their videos. While only in the ground and set 5 out of the last 10 days I have now rid my property of three moles. I did not dig up my yard to find the moles after they were struck with the device, but I can tell you that they disappeared. My latest victory was just a short wait as the device went off ten minutes after I inserted it into a mound. Success! After years of messing with all kinds of other traps this one works! I don’t have any questions, just praise for your product. I was just about to hire a pest control company when I found MOLECAT. Moles have been destroying my property for years, and I have been trying to get rid of them. I have tried EVERYTHING, and nothing worked. I never got even one of them. I just got my yard landscaped and I had to do something. When I found your MOLECAT I could not wait to try it. I have been looking for something that would get them when they come up to open their tunnel. I had one tearing up my flower bed right next to my house. I set the MOLECAT on Friday evening, and the next morning BANG! I ran outside and did a dance on my deck. Justice at last. My only regret is that I didn’t invent this thing before you did. What a great idea, and what a great product. The moles are finished on my property. 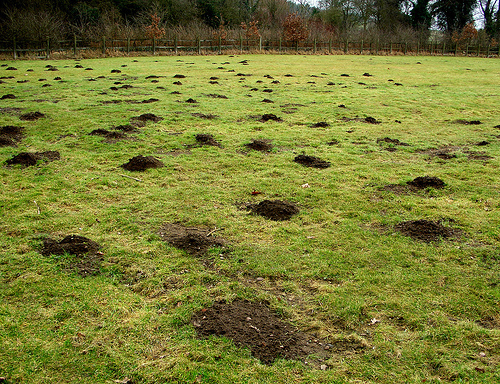 We have been bothered with Moles for the last year. Can’t tell you how much money we have spent on “Worms”, bought the “bullets” that you put in the ground with batteries in them, they don’t work. That was over $200.00 as we have a large yard. Then I was told about the Molecat, decided might as well try it, we’ve tried everything else. Well, I’m here to tell you that they work. Thank you for inventing something that actually works! I have been chasing my mole from hole to hole with traps for three weeks. My beautiful yard had holes everywhere. My friend told me about Molecat. I ran to my local hardware store that day,Saturday, and purchased the Molecat . Sunday morning after church, I checked my Molecat and KABOOM! No more mole. Filled in my holes, put down some new seed and now, Friday have no more evidence of moles and new grass coming up. The Molecat was worth every penny. No more frustration. GREAT PRODUCT!! The molecat performs exactly as advertised. After battling moles for 3 years (along with my wife’s idea of using “poisonous worms” to eradicate the perpetrator), I learned of the molecat and bought two (2) – one for me and another for a friend. 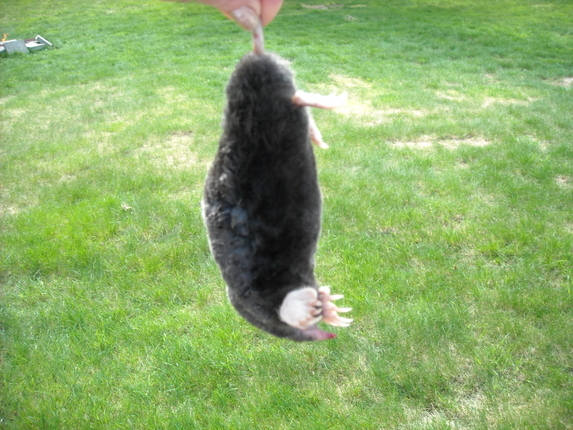 I set the contraption and killed the first mole within 24 hours. One of the best purchases I have ever made. If you are on the fence, wondering if this thing is worth $100 – get off the fence, get in your truck, drive to your local retailer and buy the molecat. You, too, will appreciate a big success! I saw the Molecat at a recent Home and Garden show in Eugene, Or. I was skeptical at buying something that expensive. I have tried everything; traps, poison bait, Juicy Fruit gum, cigarette butts, flares, water hose and exhaust from my cars tailpipe. After I bought my Molecat I set it out the first chance I saw a mole hill. I happened to see the hole being pushed up and I followed the directions and set it up. I figured I probably scared him away for awhile. Well, it wasn't two minutes later when I heard it go off! I didn't see anymore holes for about a month. Then the little buggers really got active and so did my Molecat! I have been telling all my neighbors about the Molecat. I am definitely a satisfied customer. I have spent over $1000 on mole bombs, traps, electronics, and weird liquid concoctions. Only verified 2 moles in over 5 years. The first night I set out the Molecat, scratch one mole. I have identified multiple moles over my 1 acre. In one week the Molecat has gone off three times with no further hills in those areas. Most impressive system. We just ordered and received our Molecat 2 days ago. We had about 15 mounds of dirt from the moles. I would rake them out and within a day they were back. We set the Molecat and the next day it had gone off and we haven’t had any signs of the moles since. We love our Molecat!! Thank you for inventing such a wonderful product. Every home owner needs a Molecat! Every home owner that is trying to keep a yard looking good should have a Molecat. Got my Molecat in the mail and I must say it is better than I even thought. I saw it at the NW Garden show in Seattle and could tell it was good quality but I'm more impressed after playing with it. I'm a reasonably advanced mole trapper, using the classic Victor scissors, the goher Victor and the NoMol but I'll tell you, this is gonna be the one that works where others fail. Your Molecat solves the problem. It works and you know it works! I have been placing the trap each night for 3 nights, I am happy to say that I got three of those pests over the last three nights. A record! At the Clark County fair last year I told you the Molecat was Brilliant!!! I had told you I'd get one and have. The Molecat is perfect! Four this week,my only wish is I had seven Molecats for my 10 acres. I'm grateful, you are the man, Vern!!! It's easy to use and very safe, I'd recommend it for anyone. Thanks so much for a great product!